PandaTip: In this section, you can take some of the formality out of the contract signing process by being conversational but also informative about your management company. Highlight some of the properties you already manage so your prospective new client can see the kind of work you’re known for. Keep it brief for maximum impact. When you hire [Sender.Company], you will be partnering with a leader in property management in [Location] for the past [Time.Period]. Our clients receive the highest standards of service from a team of professionals who ensure the seamless operation and maintenance of your property 24 hours a day. PandaTip: This is the meat of the contract proposal, where you can give your prospective new client an idea of how you will manage their property. The template includes the basics, but if there is something special your company offers, be sure to include it here. Under the terms of this property management agreement, [Client.Company], hereby referred to as “Owner,” authorizes [Sender.Company], hereby referred to as “Manager,” to perform business-related transactions on behalf of Owner for the property at [Number.Street] in [City], hereby referred to as “Property.” Manager is given full authority to carry out all lawful necessary steps to fulfill this agreement. Manager has the exclusive right to manage and lease Property for the duration of this agreement. Both parties agree that Manager has sole cause of any lease of, or agreement to any lease of, Property, whether made in writing or orally. Manager will collect from tenants rent payments on or before the due date, and issue receipts to tenants. Owner will be paid out all income monthly in a manner of their choice, minus Manager pay and expenses incurred. Manager will provide a monthly accounting of all rent payments for Owner’s records. Disbursement to Owner will occur on or before [Disbursement.Date] each month, as long as tenants have fully paid rent. Manager assumes responsibility of any rent payment disputes with tenants. Compiles, negotiates, and executes new leases, renewals, security deposits, or terminations. Coordinates and oversees repair services deemed necessary by Owner, or contractually required under a lease; pay for services with Owner’s funds. Actively promotes Property when necessary through advertising, marketing, and listing available units. 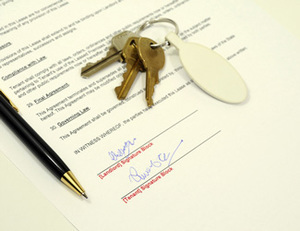 At Owner’s expense, serves legal notices to tenants when necessary on behalf of Owner, with Owner’s prior consent, and hires attorneys when needed for eviction proceedings or rent recuperation. Owner agrees to be an interested party in such legal action, and Manager has full authority to settle claims on behalf of Owner. Seeks new tenants when appropriate, making no guarantees as to the occupancy level of Property. Collects rent from tenants when due, making no guarantees as to regular payment from tenants. At Owner’s expense, hires collection agencies when necessary. Maintains a thorough accounting of rent payment receipts, expenses, and charges on a monthly basis for Owner. Hires and supervises employees to repair, maintain, and decorate Property. Manager shall be considered an agent of Owner, given full authority to perform necessary actions to evict tenants and/or collect unpaid rent. 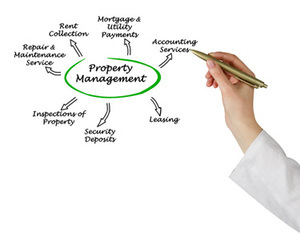 Manager has the right to enter Property at any time during the length of this property management agreement. Manager, and all employees or independent contractors hired by Manager, shall have no liability under this agreement, including such liability related to injury to persons or damage to Property under Manager’s supervision, except in instances of gross negligence or willful misconduct by Manager. Owner is responsible for obtaining and paying for general liability insurance and other necessary insurance to protect the interests of Manager and all associated personnel. The greater of [Percentage] percent of the gross rental income due to be paid by tenants under existing or future rental agreements, or a flat dollar amount of [Flat.Dollar.Amount]. Payment will be due by Owner to Manager on the 1st of each month based on tenant commitments the preceding month. If Manager conducts property reviews for publication, Owner shall pay [Review.Dollar.Amount] per review. Such reviews will include a written overview of Property and recommended preservation projects, including a preliminary cost estimate for each project. Should Property be sold to any tenant or other party during or after the terms of this agreement, Manager will be considered integral to such sales and therefore entitled to [Sales.Percentage] percent commission on the gross sale price. Additionally, Manager can list Property at the request of Owner for the agreed upon commission rate if a sale is made. Manager will be responsible for advertising of units, tenant screening for credit worthiness and ability to pay monthly rental rate. Manager will be responsible for obtaining lease agreements, renewals, and terminations; and to take all necessary legal actions to recover unpaid rent or tenant costs associated with damage to Property or its furnishings. Manager and Owner enter into this property management agreement on [Contract.Start.Date]. This agreement shall automatically renew after one year unless Owner provides 60 days prior notice in writing to Manager. This property management agreement begins as of [Day.Month.Year] and is entered into by [Client.FirstName] [Client.LastName] and [Sender.FirstName] [Sender.LastName] for the Property at [Number.Street] in [City].